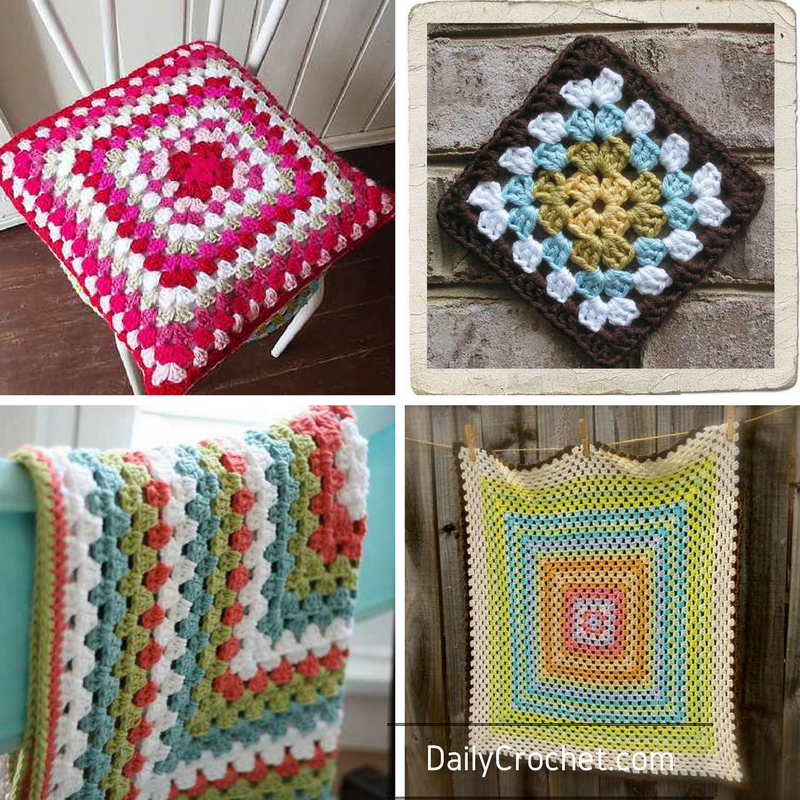 Use this basic crochet granny square pattern to create beautiful baby blankets, stool or pillow covers or anything else you wish. Traditional Granny Square by Donna Higgins is a simple pattern and a fantastic project for those just starting in crochet. It can be used to create so many wonderful projects! A baby blanket size granny square is by far one of the easiest projects anyone could create using this pattern and a wonderful potential stash buster. Find the complimentary pattern for the Granny Smith baby blanket by Big Bad Wool HERE. Or you make a few larger or smaller squares and sew them together to make a small blanket. There are so many choices for those who love creating great and useful things with really simple ideas. Thanks to Donna Higgins for the article inspiration and featured image. My first blanket was a granny square pattern! I’m having a great time practicing with a variety of crochet patterns. I didn’t know where to begin, now I don’t know where to quit! Thanks so much for the opportunity to practice! I’ll soon be up and ready to create a favorite!